Trees communicate with each other through networks of mycorrhiza. I learned a new word a couple of weeks ago: mast. We have some trees which need to be taken down before they fall on some of our other trees, so we’ve been getting estimates for removal. (It’s amazing how costs can vary from one tree serviceman to another!) One of the estimators used the word “masting” during our casual conversation. I kinda got the jest of what he meant as we spoke, but as soon as he left I had to look up the word. According to Wikipedia, “mast” seeding or “masting” is the phenomenon of mass-seeding carried out by some species of plants, namely trees, during which they all synchronously produce seed following a long interval of little or no production. This masting typically is followed by an explosion of critter populations to eat the fruit. Hm-m. That’s the word which explains the explosion of Snowy Owl visitors from time to time here in Wisconsin. 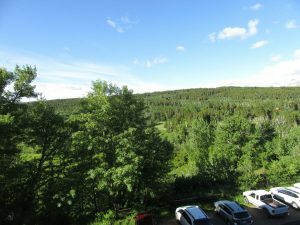 Looking North from second floor balcony of Glacier Park Lodge, pine trees everywhere. Scientists have found certain trees communicate or share more readily with each other. For example, the Red Cedar and the maples network. So do the hemlock and the Douglas Fir, and the beech and oak trees. Have you ever wondered how all the beech or oak trees coordinate their mast years to produce vast quantities of seed simultaneously? Some scientists have concluded it likely has something to do with the weather. Beech and oak trees depend upon wind-blown pollen reaching their female flowers. If the same warm, windy conditions reached all the beech and oak trees in the same location, the likelihood of a masting would be good since they would all have been fertilized at the same time and there would be correlating production of fruit. Cold still weather, on the other hand, would have the opposite effect; fertilization could be nil or spotty at the very least. But that’s kind of a dry way of putting it. Doesn’t saying they’ve communicated with each other so they all know now is the time to drop their seeds for a massive fruit drop sound more charming? 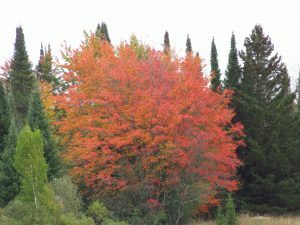 Did you know trees like salmon? One of Dr Simard‘s grad students, Allen Larocque, is studying trees near salmon streams in British Columbia. They’ve found trees near the streams absorb the salmon nitrogen from discarded salmon bones left by bears, and then share it with other trees in their network who are farther away from the streams. 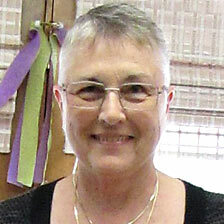 In researching this topic, I learned about a book entitled The Hidden Life of Trees by German forester Peter Wohllenben. From the excerpts I’ve read, it should be not only an informative book on the life of trees, but also a delightful book to read! Can’t wait to get my copy. 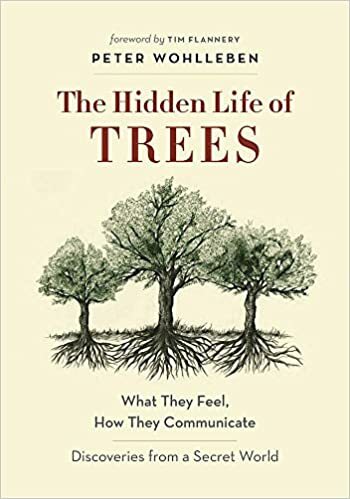 See also the Smithsonian article “Do Trees Talk to Each Other.” It’ll help you get to know the author Peter Wohllenben and the metaphorical way in which he talks about trees and how they communicate. Think Avatar. Trees sometimes have to be taken down, but it doesn’t always have to be an all or none decision. The organization Cavity Conservation Initiative has some great info on how to leave as much as possible for wildlife while still keeping them safe for people. I also bought one of their signs at http://cavityconservation.com/nature-store-2/ to explain why we’ve kept our dead apple tree around all these years. Dead trees are full of life! Thanks, Janet. This is really good info.